There’s no right or wrong time to study abroad! 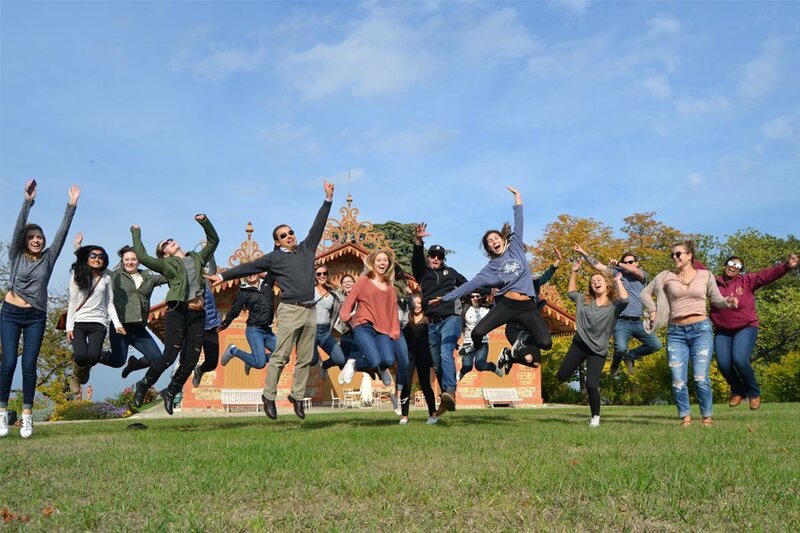 However, spring is right around the corner, and if you’re wishing you could study abroad, there is still time to apply for USAC spring programs. 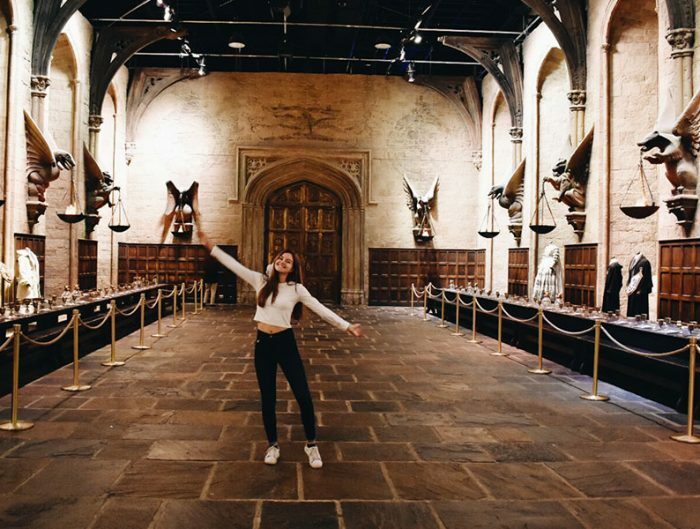 In particular, spring is a great time to study abroad because it leads into summer. 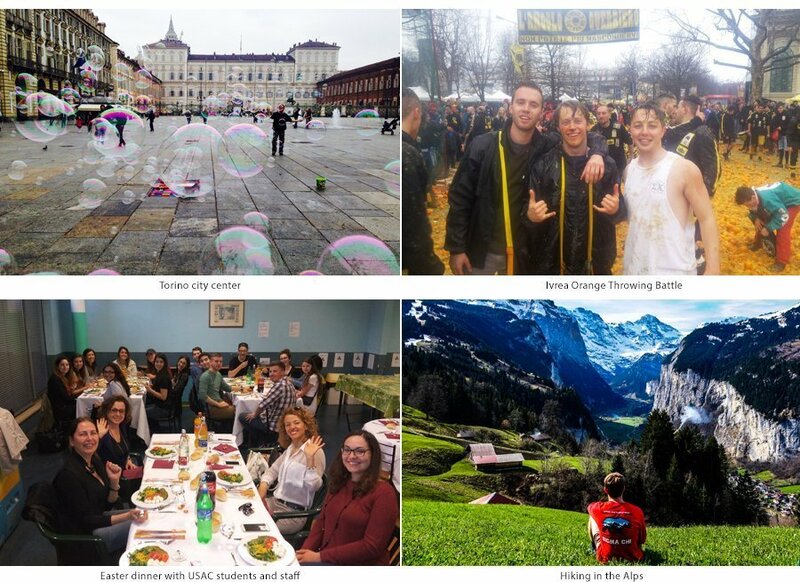 With some proper planning, you can extend your study abroad through the summer, or stay abroad and do some traveling after your study abroad program ends. Study abroad for a semester, travel all summer, we call that a win-win! The only decision left to make is where will you go? We’ve got some suggestions! If your spring dreams consist of sitting on a beach, then head south to our Brazil program in Florianópolis, land of the beaches! 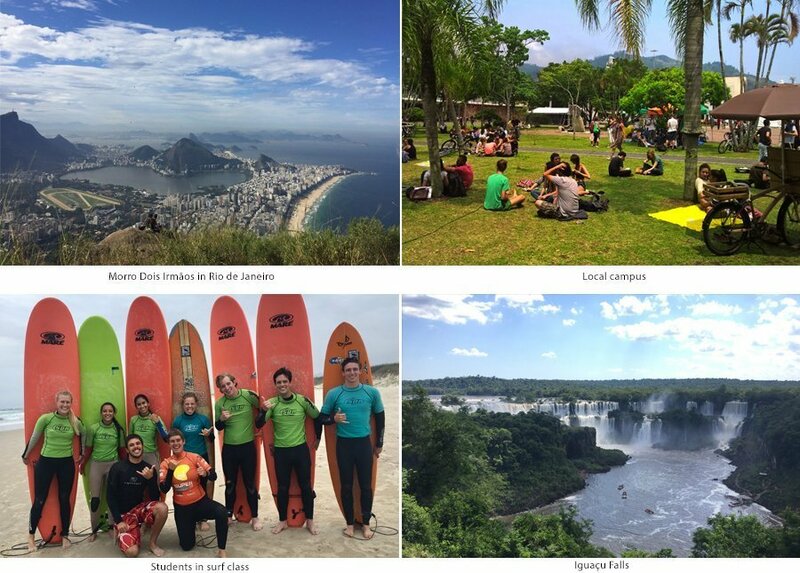 In addition, you’ll study at Brazil’s most prestigious and popular university on a beautiful subtropical island. However, don’t get thrown off by the word “island” because Floripa is filled with hidden gems and charm, a variety of outdoor activities such as hiking, diving, surfing, sandboarding, sailing, whale-watching and more. You can also easily travel and explore Brazil and nearby countries such as in the Amazons, Rio de Janeiro, Iguaçu Falls, Uruguay, and Chile. The spring term also includes field trips and tours to Minas Gerais, Santa Catarina Island, and Costa da Lagoa. Spring semester temperatures in Costa Rica is equivalent to what we would call summer. Therefore, you’ll be studying abroad in Costa Rica during the high season! 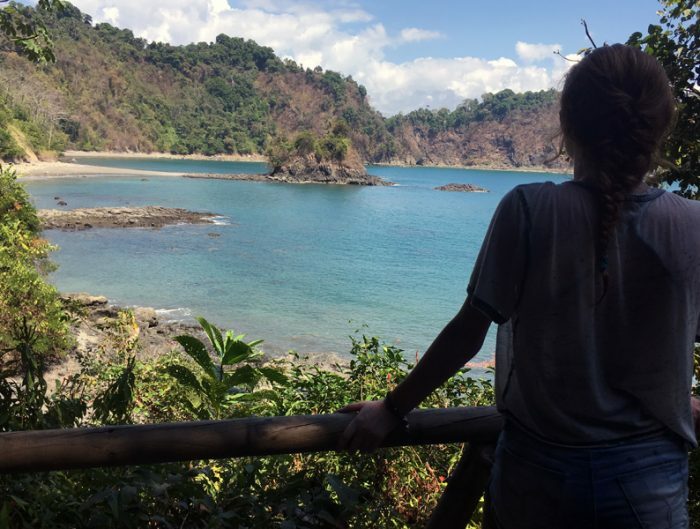 With lots of opportunities to travel, explore, and grow, there’s really no better place to spend a semester than soaking up the Pura Vida life among the beaches and rainforest. 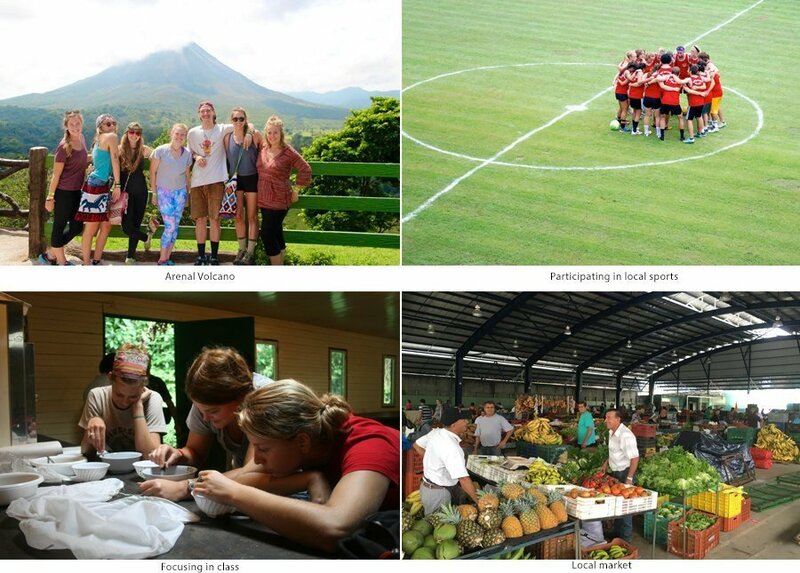 USAC has three programs in Costa Rica and we recommend each of them for a different reason! See below. A suburb of the capital, Heredia offers an urban campus with lots of immersion opportunities. You’ll definitely get the college town vibe in this city and enjoy easy access to the cultural, historical, and urban highlights of San José and the Pacific Ocean. During the spring you’ll want to take advantage of several field trips including Irazú Volcano and Cartago, San José, Cuba, Tortuguero and Bocas del Toro, Panama Tour, Arenal, and other outings. If you’re looking for the small city life in a beach town, then head to Puntarenas. You’ll spend your semester a short trip away from breathtaking national parks and nature reserves, and have the opportunity to participate in independent research and volunteer opportunities. As a whole, Costa Rica is known for its natural beauty, which there is no shortage of in Puntarenas. You’ll meet and interact with locals, spend your days in class, afternoons at the beach, and nights out and about in the city with friends. A rainforest town that’s great for biology students, San Ramón offers classes in ecology, biology, and health sciences. 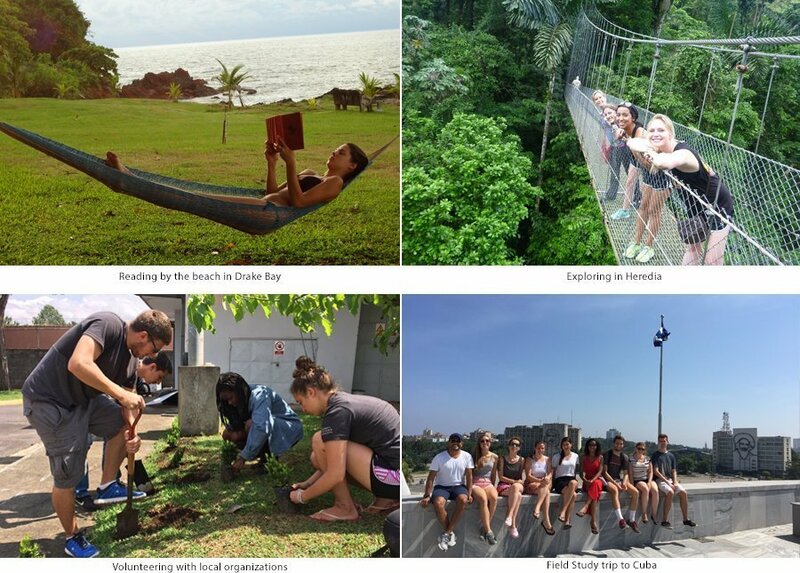 Your spring semester will include field trips and tours to Jaco Beach, Canopy Tour, Cuba, Northern Costa Rica and Southern Nicaragua, Monteverde Cloud Forest and other activities. You’ll be immersed in the local culture with a variety of hands-on experiences available through internships, field studies, and volunteer opportunities. 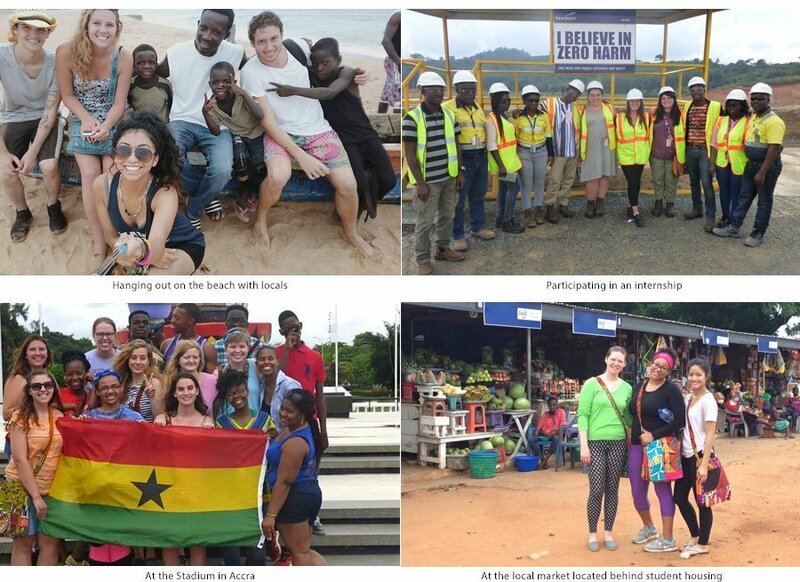 Studying abroad in Ghana provides a unique opportunity to immerse yourself in the heart of West Africa. Unlike any other USAC program, Ghana is for students who want to learn about complex issues facing a developing African nation while enjoying a rich cultural, historical, and social experience. You’ll live in Accra and be surrounded by cultural and historical sites, and miles of pristine beaches that contrast with a rainforest home. Don’t forget to take advantage of the Ghanaian arts, dance, and music classes offered! Any time of year India will overwhelm all of your senses, in a good way! The Bangalore program provides an opportunity for you to learn Indian culture, sociology, and global issues while volunteering in the local community with fellow students. India’s diverse landscape provides endless opportunities to explore, learn, and grow. Bangalore is known as India’s Garden City and is a hub of the technology and business outsourcing revolution. 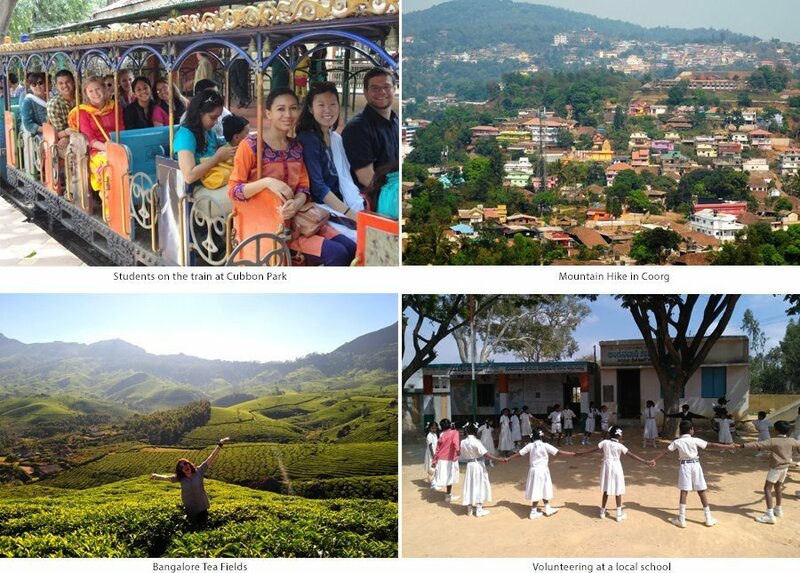 In addition, you’ll participate in a variety of cultural field trips and tours including a Southern India Tour, a field trip to Coorg, local tutoring center, local village, and a Bangalore city tour. Don’t miss the Indian culinary class and the Bollywood dance class! Is there ever a bad time to be in Italy? We say no! Spring is considered a moderate season in Italy, where you’ll see more sunny days than cloudy days. In addition, you’ll experience a variety of festivals and holidays including Easter, Liberation Day, and Open Monuments Weekend to name a few! If you plan on doing some travel, you’ll most likely to see some lower travel costs early in the semester into May. 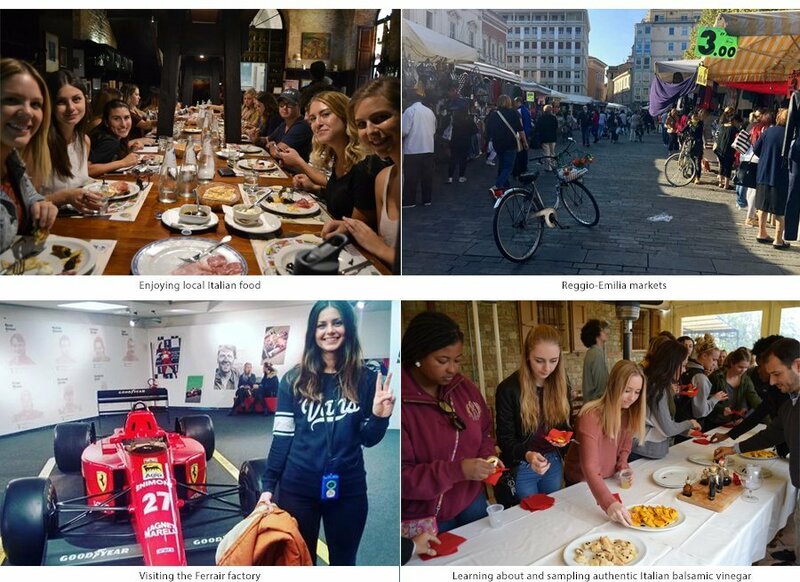 While USAC has four Italy programs, we recommend checking out our Torino and Reggio-Emilia programs for your spring study abroad term, here’s why. You’ll live in a charming city known for having one of the highest qualities of life in Italy with the option of taking classes in Italian language, education, health, economics, and communications. You’ll experience what many say is the best food in Italy while immersing yourself in Italian culture away from crowded tourist destinations. During the spring you’ll have the opportunity to participate in field trips and tours including Parma, Ferrari, Viano and local Acetaia, Bologna, Consorzio Vacche Rosse, Verona, Mantova, and Sirmione Tour and more! You’ll spend your semester living in a large cosmopolitan center rated one of the top ten most beautiful cities in Italy! 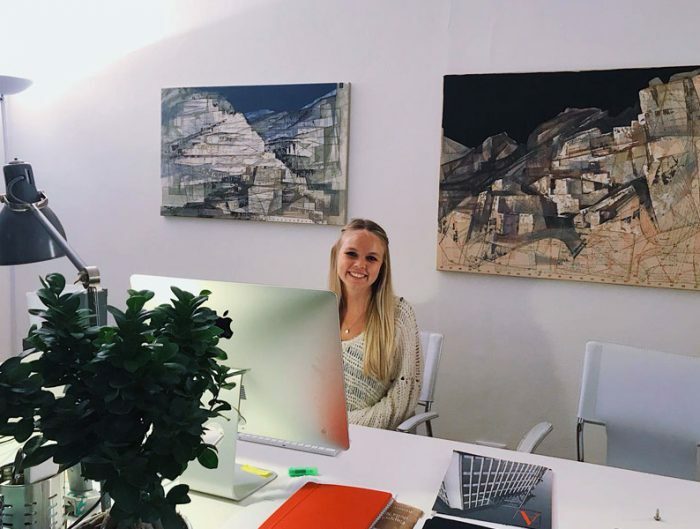 Torino provides interactive classes with students from around the world and you will learn real-life skills for international careers in business, marketing, architecture, communications, and many other areas. Torino is the perfect location in the center of Europe and between the mountains and sea—with fast trains and low-cost airlines making travel easy and convenient. 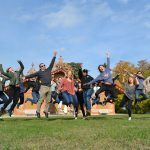 You’ll participate in a variety of USAC field trips and tours including the Ivrea Orange throwing Battle and the Piemonte countryside. 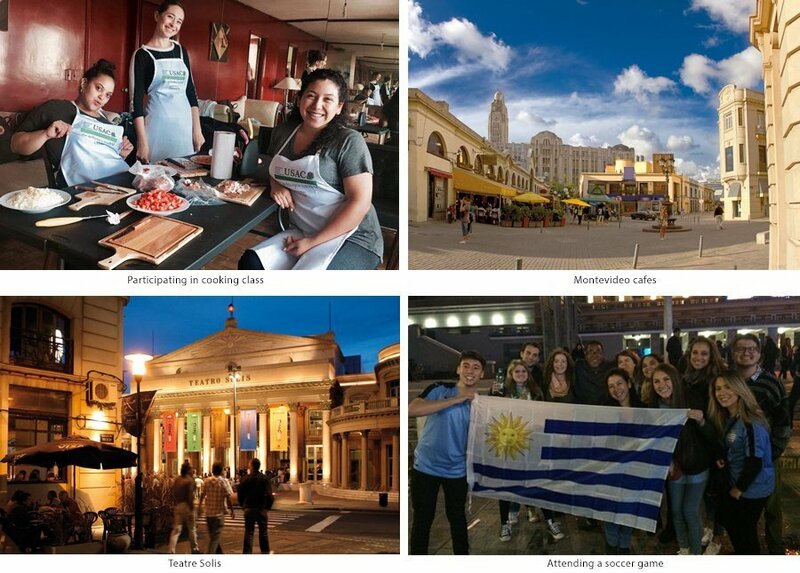 Our newest study abroad program puts you in the heart of the Rio de la Plata; the river and estuary that forms a border between Argentina and Uruguay. The program is based in Montevideo, the capital of Uruguay and a port city with a massive coastal promenade where you’ll enjoy a laid-back lifestyle. Montevideo offers a robust music, theater, and arts scene where many performances are held at Teatro Solis, Montevideo’s renowned theatre built in 1856. We’ve opted to locate the program in Uruguay due to its safety, political, financial, and economic stability. Spend your time abroad in this cosmopolitan city on Spain’s northern coast, located only an hour away from the France border. 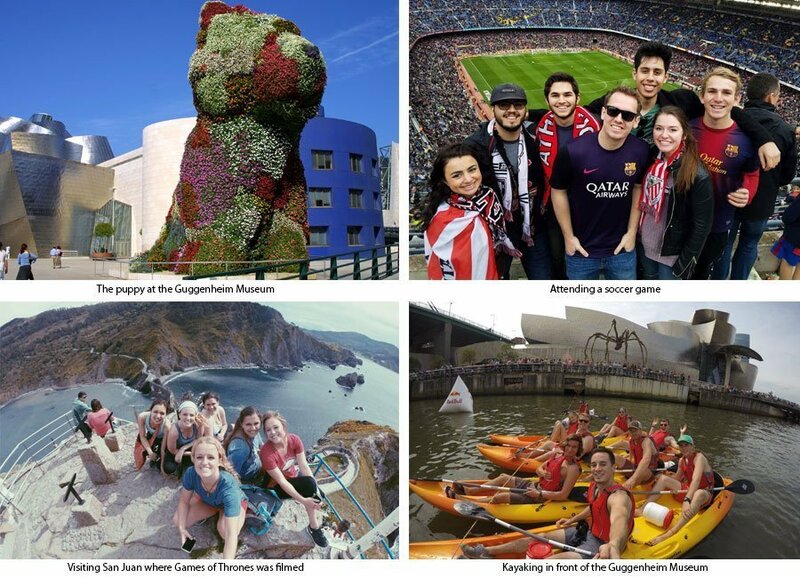 Bilbao is one of USAC’s longest standing and popular programs, and for good reason. 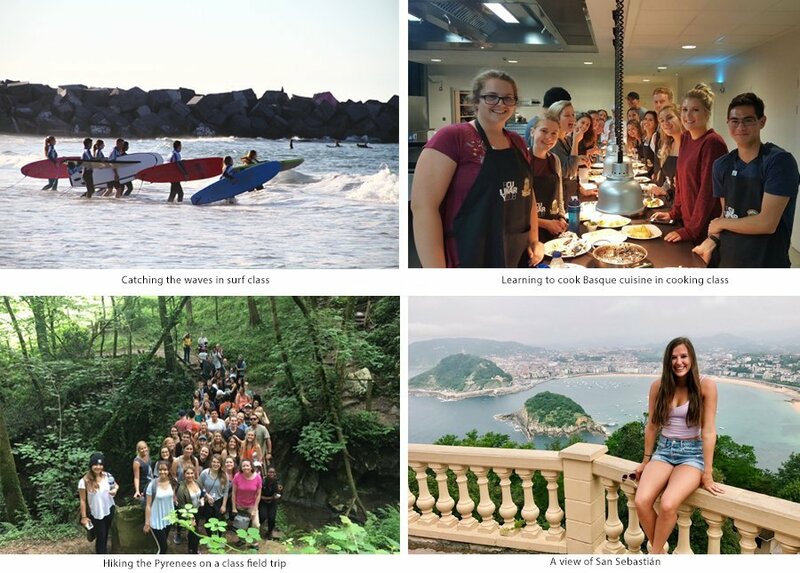 Students enjoy a variety of outdoor activities including surfing, horseback riding, hiking, and cycling while participating in a variety of business, Spanish, and Basque language and culture classes. From the ocean to a bustling city, to delicious food, Bilbao has it all. Students can also join the teaching assistantship program to gain work experience at local schools while earning money. Spend a semester soaking up the sun by the ocean, learning about the Spanish and Basque language and culture, taking surf class (for credit!) and exploring Europe. San Sebastián is an ideal location for students who want a multicultural experience in a modern bustling city. Voted the European Cultural Capital for 2016, San Sebastián is an inviting, walkable, lovely coastal city with rich culture, cuisine, and outdoor activities available. If you’re an adventure seeker who wants something new to do and see every day, then head to San Sebastián. If you’re ready to study abroad you can start your application process today on our website: https://usac.edu.